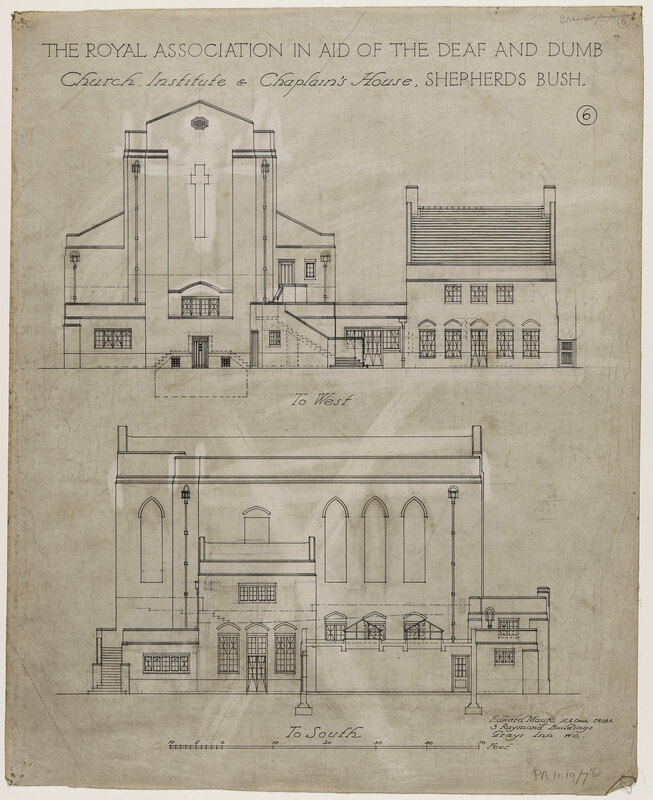 Architectural plans for St Saviour’s Deaf Church show how the space was designed for multiple community uses as well as worship. In 1923 the Deaf Church on Oxford Street had to close after more than 50 years after the land it was built on was sold. We still have the original plans and some early photographs of the new structure designed by Sir Edward Maufe and constructed in Acton. The buildings have been arranged on the site to allow for a tennis court. As we’ll see from the the plans and contemporary comments, the building was carefully designed so that the use of light made it easy to sign. 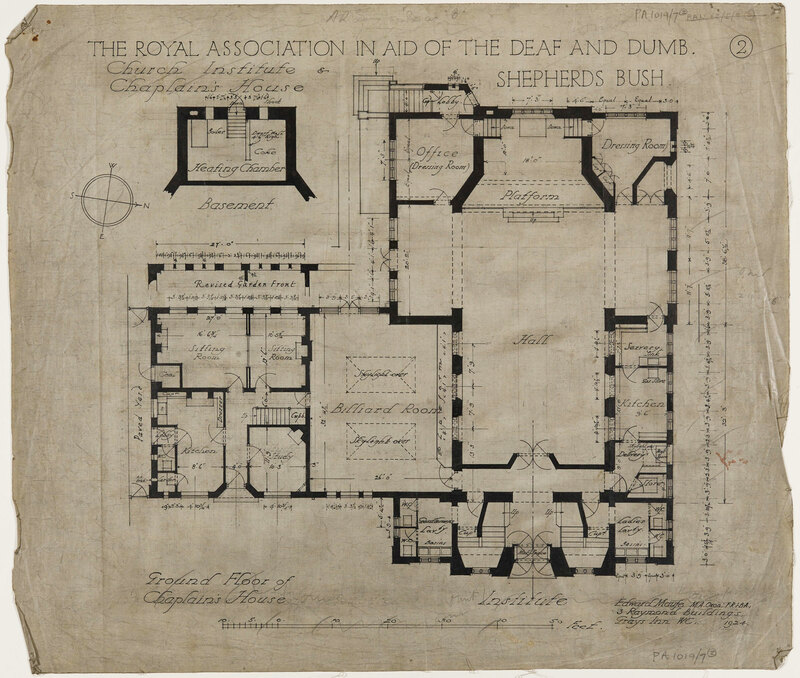 The site’s many amenities were also obviously aimed at developing and sustaining a social community, which included the children of many deaf adults who attended. Our research shows that if a parent became part of the St Saviour’s, their children were generally baptised there. The notes accompanying this image explain that there is strong side-lighting on the altar and the ministers, and that the outside staircase, which acts as a fire escape from the church can also be used as a pulpit for outside meetings. 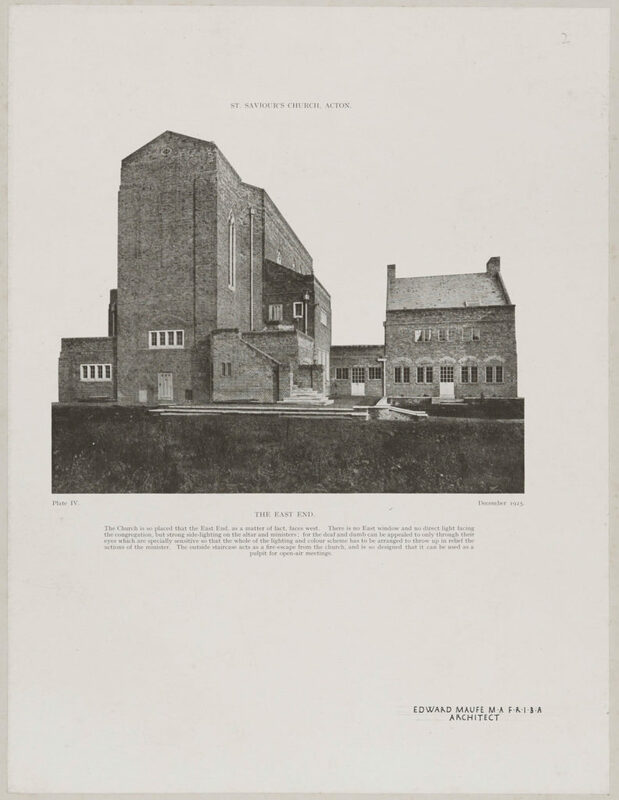 “contains besides the church itself and the adjoining Chaplain’s House, an institute on the ground floor, consisting of a large hall of cruciform plan with a stage, and rooms adjoining which can be used as offices, class-rooms or dressing-rooms. There is also a billiard room with top-lighted tables, communicating with the Institute and Chaplain’s House and a kitchen and servery. The buildings have been arranged on the site to allow for a tennis court and a small garden for the Chaplain”. It is easy to imagine how someone could spend the whole day on the site enjoying socialising, church, food, billiards and (if the architect’s aspirations came to pass) possibly tennis! Architectural drawings of the outside of the church. Courtesy of RIBA. Floor plan. Courtesy of RIBA. Next Next post: Adding BSL captions to film – reflections on some work experience.